Fremantle has lost their first five games. 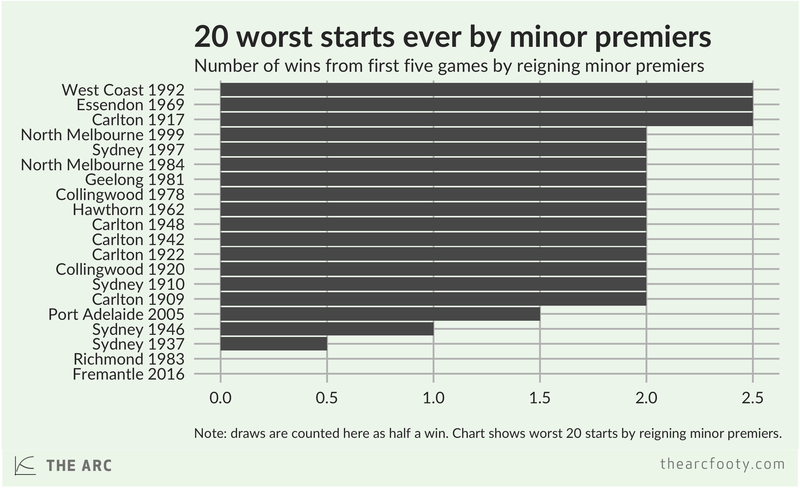 The 1983 Richmond Tigers are the only other reigning minor premiers in VFL/AFL history to start the season with five straight losses. If Fremantle loses next week, to Adelaide in Adelaide, they’ll be the only reigning minor premiers in VFL/AFL history to go 0-and-6.